American spirits producer Local Choice has launched a crowdfunding campaign as it looks to increase production and expand distribution. The crowdfunding campaign, launched through online platform First Democracy VC, aims to raise at least US$50,000 to increase the company’s spirits inventory, drive marketing campaigns and develop new brands. 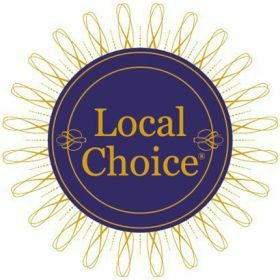 Paula Dezzutti Hewlette, founder of Local Choice, said: “I’m so excited for this opportunity and the show of support from investors. The Local Choice platform and our partnership model is so important – everyone thrives working together and I believe we’re helping change the industry for the better. Hewlette founded South Carolina-based Local Choice in 2010. Its spirits portfolio includes a range of Bourbon, vodka and rum brands. Through its Sip & Serve initiative, Local Choice donates US$2 per bottle sold to a number of community causes. An increasing number of businesses have turned to crowdfunding recently, including New York cocktail bar Death & Co, UK-based East London Liquor Co and ‘Croatia’s first’ gin distillery.